HOUSTON (January 14, 2019) – Mobil Steel International, Inc. earned its 13th consecutive American Institute of Steel Construction (AISC) quality certification renewal last month. AISC certification recognizes Mobil Steel for maintaining steel fabrication operations that meet international quality standards for steel building structures. AISC conducted a rigorous audit which certifies that Mobil Steel meets and exceeds the highest industry standards and current ISO standards. AISC certification is the recognized international quality certification program for the structural steel industry. AISC certification and ISO standards are designed to ensure quality structural steel fabrication. Meeting the standards demonstrates Mobil Steel’s commitment to producing quality steel fabrication for customers in the industrial and commercial industries. Leonard A. Bedell, President and CEO of Mobil Steel, was quick to point out that the AISC certification process continues to evolve and becomes more rigorous to ensure quality to customers. 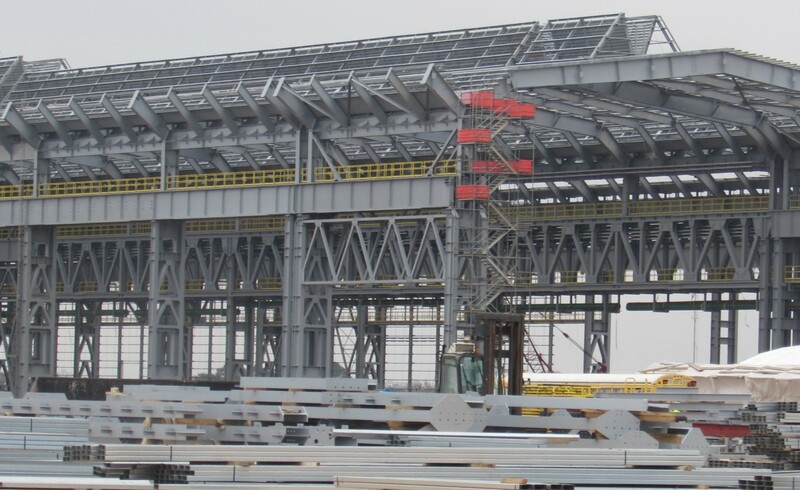 According to AISC, more steel fabrication projects are requiring certification compliance and more steel fabricators are becoming certified as a way to establish a project’s expected level of quality. “The AISC certification program must provide recognizable value to the participant and the construction marketplace,” said Trimble. Initially certified in 2001, Mobil Steel completed a diligent re-certification process in 2006 to demonstrate its commitment to quality and to differentiate itself in the steel fabrication industry. Every year since, Mobil Steel has maintained AISC certification. While Mobil Steel is one of 14 Houston steel fabrication companies currently AISC-certified as a steel building fabricator, Bedell believes Mobil Steel is one of only a few local steel fabricators that have received AISC certification for 13 consecutive years. “AISC quality certification differentiates Mobil Steel from our competitors and provides us an advantage that our industrial and commercial customers recognize,” Bedell said. “It is not simply about a piece of paper or certificate. The annual AISC audit ensures that every day we are doing what is needed to produce quality steel fabrication. For 13 consecutive years, the audit has emphasized that quality processes are followed and has focused us on improving procedures so that we exceed industry quality standards. “I am proud that our Mobil Steel employees work hard to achieve quality and continue to deliver reliable and quality steel fabrication, superior customer service, as well as award-winning safety performance,” Bedell added. Also in 2018, the Associated Builders and Contractors (ABC) national association awarded Mobil Steel a distinguished Platinum level 2018 Safety Training Evaluation Process (STEP) recognition. It was the third consecutive STEP award Mobil Steel earned for distinguished safety and health performance in the industrial contracting industry. Mobil Steel improved safety performance each year from silver to gold to platinum level designations from ABC National. Mobil Steel employees worked more than two years without experiencing an OSHA recordable injury during that time span. Mobil Steel International, Inc. fabricates steel used in some of the world’s essential industries: chemical, manufacturing, petroleum, communication, clean fuels, and power utilities, as well as commercial construction. Mobil Steel, which has been at its South Wayside Drive facility in Houston for 50 years, has a production capacity of more than 1,000 tons per month in its 80,000 square feet of plant and office facilities under roof, providing flexibility to manage multiple projects. The 8.5-acre site is located within major freeway access to the refining and petrochemical complex in the Gulf Coast region. Mobil Steel is quality certified by the American Institute of Steel Construction (AISC). Mobil Steel is active in Associated Builders and Contractors, Associated General Contractors, Association of Chemical Industry of Texas, and American Welding Society. The company is a sponsoring member of Economic Alliance Houston Port Region and a member of the Pasadena Chamber of Commerce. Mobil Steel is a registered small business with the Small Business Administration. For information about Mobil Steel visit www.mobilsteel.com. Structural steel frames and handrails fabricated by Mobil Steel for a customer building. Mobil Steel received its 13th consecutive AISC quality certification as steel building fabricator. AISC’s rigorous certification process helps ensure industrial and commercial customers receive quality steel fabrication on their projects.